is the most traditional of Brett's albums and, at the same time, most progressive CD to date—and his favorite! 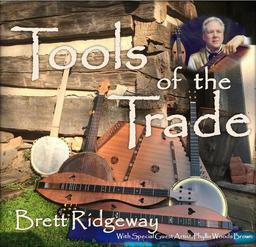 The CD contains 16 tunes featuring the beautiful sounds of the hammered dulcimer, Appalachian dulcimer, and various clawhammer banjos. Oh, and there are also Easter eggs hidden therein- so 16 plus! In every tune, the featured instrument shines through as an example of the simplistic Appalachian flavor. Recorded with special guest artist, Phyllis Woods Brown.